I am thrilled to share the kitchen with Julie McKie in this video. 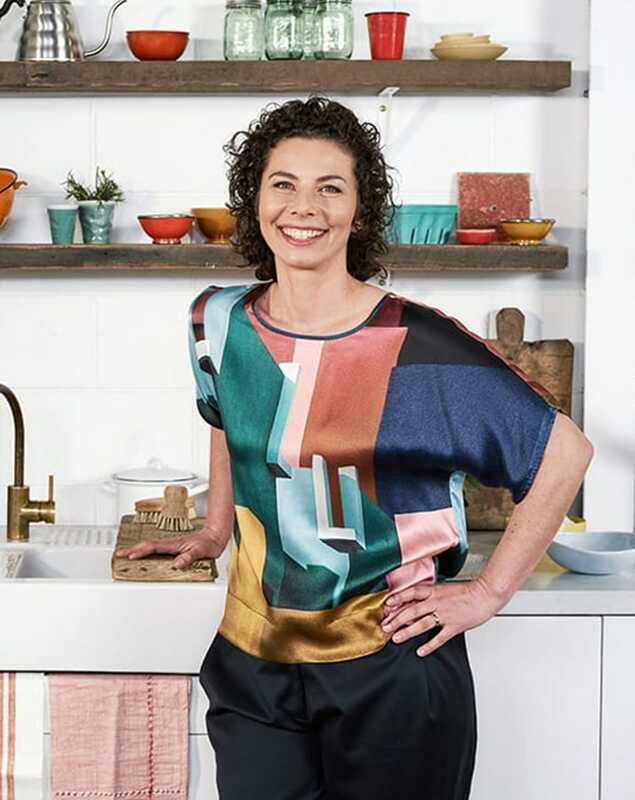 Julie works with me – she’s chief of pretty much everything – so it was great to haul her in front of the camera to share her food knowledge and recipe development skills. This mint and choc-chip smoothie is incredibly tasty and energising and – as you’ll hear – it’s bursting with goodness thanks to hemp, a new It ingredient. Hemp was legalised for culinary use in Australia in November 2017. It’s in the same family as cannabis but has minuscule amounts of the THC compound that is found in marijuana, its cheeky cousin. Hemp is easy to grow and drought-tolerant, making it a great plant for Australian conditions. It’s also very rich in easily digestible protein and good fats. Read more about hemp in this article by Richard Cornish, who visits some hemp farmers in Tasmania and comes away impressed. Hemp seeds, hemp flour and hemp oil are widely available in supermarkets and health food stores. We use hemp seeds in this recipe and also in these delicious Banana-Choc Hemp Bliss Balls. Try them, you’ll love them. We use a nut milk bag to strain the nut milk. You could also use a couple of layers of kitchen cloth placed in the steamer basket or a sieve, and let the milk drain through. 1. Soak hemp seeds and macadamia nuts in 500 grams (17.6 oz) room temperature water for at least 1 hour (up to 24 hours). 1. Place milk, banana, dates, nut butter and mint in mixing bowl. Blend 10 sec/speed 10. 2. Add cacao nibs and blend for a further 10 sec/speed 10. We use a nut milk bag to strain the nut milk. You could also use cheese cloth, muslin or a couple of layers of kitchen cloth placed in the steamer basket or a sieve, and let the milk drain through. Dry the nut pulp in a dehydrator or very low oven (as low as it goes), then use as a replacement (or partial replacement) for flour in baked goods. Medjool dates are large, soft and sweet with a caramel flavour; they are available in supermarkets, nut shops and delis. Garnish with hemp seeds, cacao nibs and mint leaves. Use almonds, cashews or hazelnuts instead of macadamia nuts. ABC nut butter is made with almonds, brazil nuts and cashews; you can use any nut butter you like. Use almond, cashew or hazelnut milk instead of hemp macadamia milk. Add a handful of ice to chill your smoothie down, if desired. Looking for more wholesome breakfast options? Browse the Breakfast category on the site and subscribe to access recipes and videos for such gems as Matcha Smoothie Bowl, Chai Porridge, and Black Rice Breakfast Pudding. And I know you’ll love these Coconut Flour Pancakes with Blueberry Syrup. Read more about hemp in this article by Richard Cornish, who visits some hemp farmers in Tasmania and comes away impressed. A girl’s gotta get dressed. Today I’m wearing Leonard St.